A charming community just off Highway 3 in Ontario, Tillsonburg could be the ideal place to buy a home. The houses for sale in Tillsonburg, Ontario range widely from new construction to spacious older homes with ample charm. For those looking to explore the availability of Tillsonburg, Ontario real estate, our team is just a phone call away - call or text 519-851-2844. The homes for sale in Tillsonburg range from small, two-bedroom and two-bathroom starter ups up to large estates. Some feature modern updates and amenities including en-suite master bedrooms. Raised bungalows are one of the most common options, but a few custom homes dot the landscape here as well. Some land is available for development in and around Tillsonburg as well. 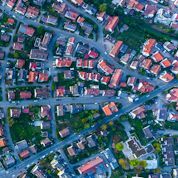 With an ever-changing real estate dynamic here, it pays to work closely with a local agent to stay up to date on newly available homes. This community of nearly 16,000 people is just 50 kilometres from London, making it an option for commuters. The downtown core of the community is home to the Tillsonburg Town Centre and numerous retail and restaurants, is one of the most prominent components of the city. Over the years, the area has become well known as a tourism hotspot due to the beautiful lakes, the rowing club, and the Station Arts Centre. The community has a rich farming history, and much of that is still evident in its somewhat remote and peaceful surroundings. Interested in Houses for Sale Near Tillsonburg? Tillsonburg, Ontario real estate offers something for everyone. 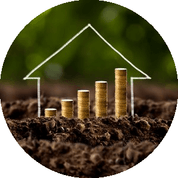 Homes here are competitively priced to provide for most needs. There are never too many homes on the MLS, as the area has a significant amount of demand. 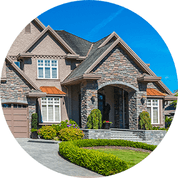 Yet, it is possible to browse through the available homes for sale using the MLS listings in Tillsonburg, Ontario, Canada and stay up to date on available homes. For those looking for a new opportunity to find their ideal home, our team is happy to help you find the right one. 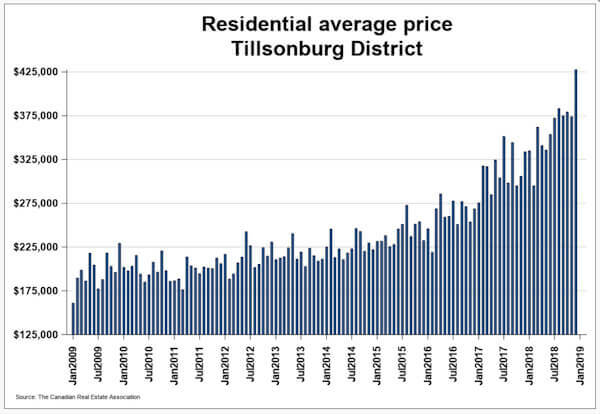 What is Tillsonburg Ontario Real Estate Average Sales price? Visit http://creastats.crea.ca/till/ for more information on Tillsonburg Residential Sales Stats. Have Questions About Tillsonburg Houses for Sale? If you have more specific questions about homes or cottages in Tillsonburg, Ontario, we would love to help! Email us today or call us directly at 519-851-2844 for more information on any Tillsonburg houses for sale! Listing courtesy of ROYAL LEPAGE RESULTS REALTY, BROKERAGE. Listing courtesy of JANZEN-TENK REALTY INC., BROKERAGE. Listing courtesy of POINT59 REALTY.